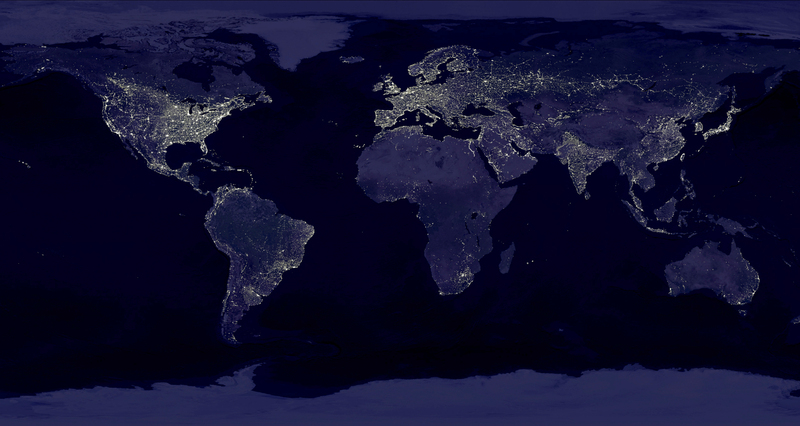 A photograph of the Earth by night shows an impressive picture: Europe, India, Japan, the coasts of North America, and the southern tip of Africa are illuminated by bright points of light. Areas where many people live in a relatively small space are extremely bright; those are the big cities that are the economic, social, and creative centers of today’s world. Planet Earth by night: cities are the points of intersection in the age of the Anthropocene. We live in an urban era. Uruk, Constantinople, and Rome were the ancient models for our urban community life. More than half of the world’s total population lives in cities, and this figure is increasing due to population growth and urbanization. In the year 2025 there will be about 600 cities with more than one million inhabitants. The world’s cities, which are connected to each other like nodes in a giant web, can be seen as processors of resources. Cities are the places where most resources and mineral deposits are transported to and later transformed. But less tangible things such as money flow through cities as well. Today’s global finance system is heavily computerized. Money is made all over the world, but it is in cities that the majority of money is transferred, distributed, multiplied—and lost. From 1894 gas boilers have provided people in cities with warm water and heated rooms, and those boilers are connected to gas and electricity networks. In Germany, 60 percent of the total energy consumption in private households is for heating. Altogether cities consume close to two-thirds of the world’s total energy and thus account for more than 70 percent of the world’s total greenhouse gas emissions and a large portion of its waste. 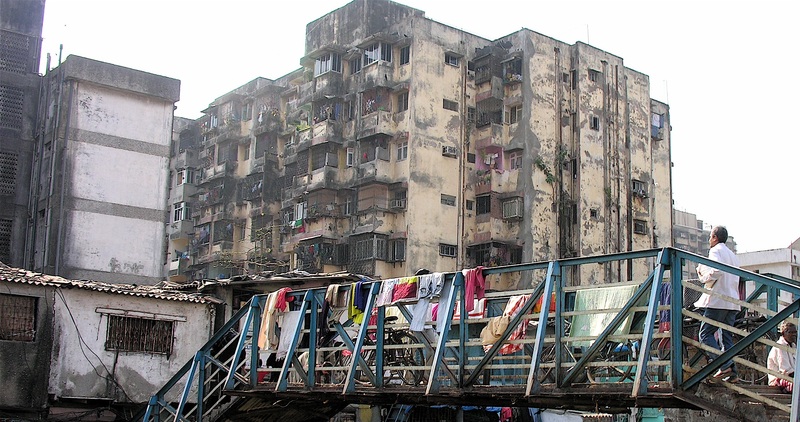 Urban sprawl in Mumbai, India: one problem of urbanization is the increasing number of slums. Created by John Hurd. View source. Cities function as microcosms of global change and thus the problems of the Anthropocene are particularly acute in cities: overpopulation, greenhouse gas emissions, scarcity of resources, pollution, and social inequality. In developing countries, a large portion of the urban population often lives in informal settlements such as slums with no direct access to drinkable water or sanitary facilities. Experts on climate change agree that solving these problems will require the development and implementation of a complex plan for sustainability. In the concrete jungle of cities, people easily lose a sense of connection with nature. But the cities of the future could grow out of precisely this interaction between people and nature. Clean energy sources like biomass, wind, geothermal, and solar energy, combined with carbon-free transport and building methods, could transform the city smog into a carbon-neutral, environmentally friendly atmosphere. If we think of the city as an organism, we see the importance of preserving ecological and social diversity in order to find creative solutions suited to the individual needs of each city. Creative concepts are already in use all over the world: in 1997 women in the Philippines began to turn discarded juice containers, which had previously littered their neighborhood, into stylish bags. In Australia, a company called Gideon Shoes produces shoes from cane toad and kangaroo hide. Both animals are so abundant that they have developed into a threat to humans and various ecological systems. Gideon Shoes uses fair paid labor and creates their shoes under ethical work conditions; its revenue was used to found the Street University, which provides community services and education to disadvantaged children. Both examples follow a simple and symbiotic principle where ecological thinking and social activities are linked together. By using regional, renewable resources, jobs are created, social services are financed, and the ecological system is strengthened. 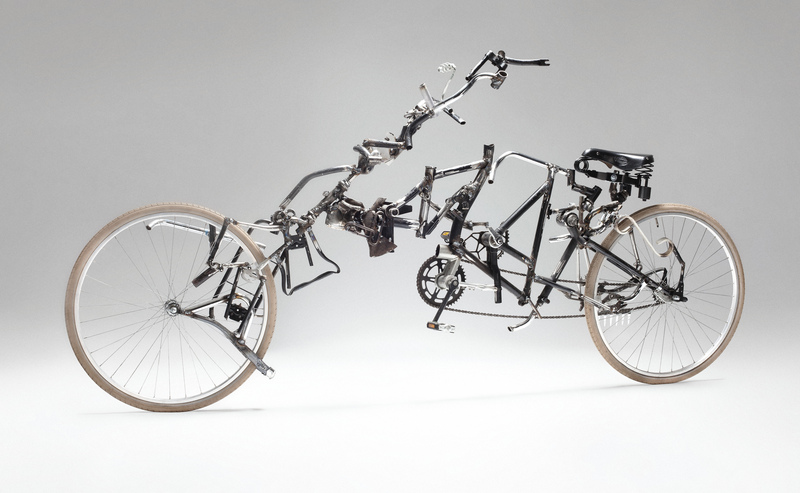 Victor Sonna’s recyled art bike “Guernica” is on display at the Deutsches Museum. © Victor Sonna. Used by permission. Transforming something that already exists into something new is the idea that the artist Victor Sonna applies in his piece of artwork “Guernica,” which you can see in this exhibition. This functional bicycle is made from trash and discarded metal and is thus a new version of a basically familiar object. At the same time it makes us think about how we move through the city in the age of the Anthropocene.